Belper Bouncy Castle Hire ​We Deliver Bouncy Castles / Inflatables To Belper & Surrounding Areas Like Heage, Kilburn, Duffield, Holbrook & Crich So either your having party at home or at a venue or even a corporate fun day / fete, you can be rest assured we can provide you with the best possible inflatables and service there is to offer! We have been delivering to the Belper area and satisfying customers for nearly 10 years now! We have a great choice of inflatables to hire including Assault Courses, Childrens Bouncy Castles, Adult Bouncy Castles, Bungee Runs, Sumo Suits, Inflatable Slides, Soft Play, Bouncy Castles With Slides, Inflatable Games just to name a few! 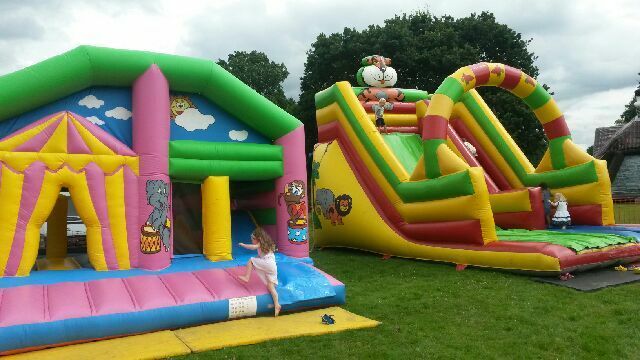 Derby bouncy castles provide inflatable hire in ​Belper. If you're looking for a corporate event, company fun day or team building activity in Belper, then why not take advantage of our great selection no deposit and no cancellation fee policy, Have a look round our state of the art upto date website ​to check our great choice online or give us a call for free advice and a chat about your event, as our experienced staff would be happy to help you.